Shamim Mohammad and I met many years ago, and knowing his ability to innovate, I was very happy to catch up with him well into his tenure at CarMax. In this Q&A, Mohammad offers a view into what digital transformation means for the $15 billion automotive retailer. Martha Heller: What does digital transformation mean at CarMax? Shamim Mohammad: CarMax is the nation’s largest retailer of used cars, and we have always gained market share by providing a great customer experience. We were the original disruptor of the used auto industry, founded to fundamentally change used car buying by providing an honest and transparent customer experience. But customer expectations are changing. Customers are measuring their experience with us against their experience with companies like Starbucks, not against other used-car companies. In addition, customers are completing the vast majority of their research online. In fact, nine out of 10 CarMax purchasers start online. So, we knew we needed to revolutionize car buying again through customer-focused technology innovations. Digital transformation at CarMax means transitioning into a true omni-channel retailer, leveraging technology, data, product innovation and agile testing and learning to deliver an exceptional customer experience. What are some examples of product innovation? These days, customers are in the driver’s seat in how they want to shop. Some want to do everything online, some want to come into the store, but most want to move from digital to in-store in a seamless way. Our digital strategy is all about giving the customer options. That’s why we’ve focused our transformation on customer enabling technologies, which include all of the technology our associates use to engage with our customers, as well as the technology that is directly customer facing. For example, we are deploying a new mobile app to improve the appraisal process for our in-store buyers (CarMax employees) and our customers. Prior to this app, in-store associates completed the appraisal process using a clipboard, pen, assessment worksheet, flashlight, and camera. They had to leave the vehicle and go into the store to complete the process. Today, when a customer comes in to sell a car, associates equipped with mobile devices can assess the vehicle in real-time and have access to the information they need to provide an appraisal without leaving the vehicle. This delivers a simple and seamless exceptional experience both for the customer and the associate. We appraise millions of cars a year, so we’ve seen some significant business benefits from our mobile program. We are also piloting a new product in Charlotte, NC, called Home Delivery, that allows customers to shop for and buy a car without coming to a store. 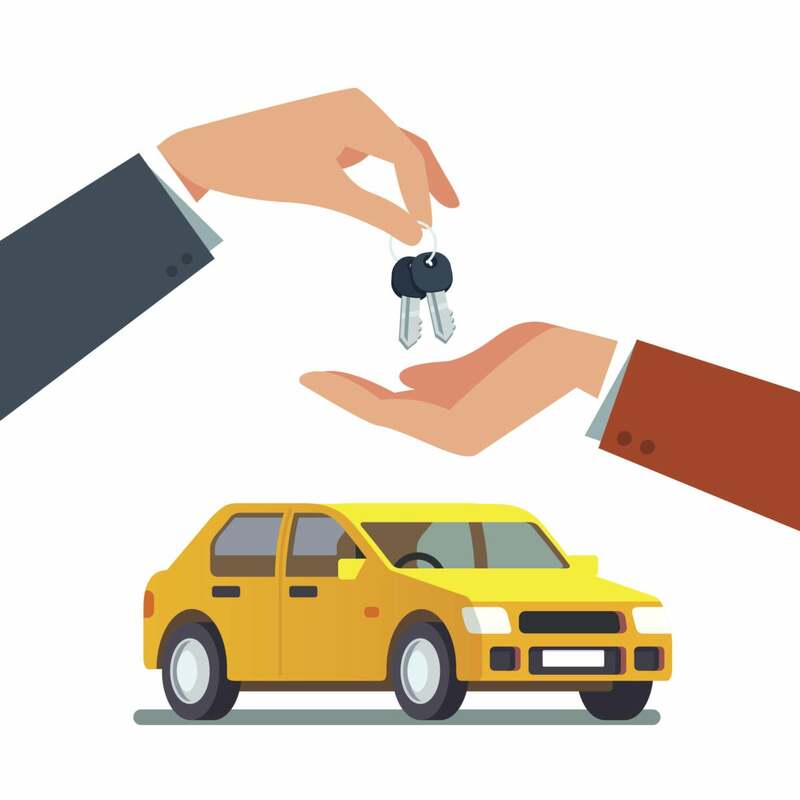 CarMax specialists help customers find their ideal car and then deliver it for free for the customer to test drive before completing the purchase. Exceptional customer service is at the core of CarMax, and these initiatives work to deliver on that promise by providing as much or as little of the online car buying experience as the customer wants. How have you been able to speed up the delivery of these new products? Before the transformation, most of our technology was custom developed, and it was hard to make changes. When we re-platformed our customer-facing technologies, we decided on a “cloud and mobile first” strategy, to allow customers to have the same experience regardless of their device. As a result, we are now able to complete enhancements in a matter of hours when it used to take days or even months. Because we can make changes constantly, we are always enhancing the customer experience. For example, we’ve created a very simple user experience design for our online financing application, a new product that took much less time to develop and deliver than in the past. How did you transform IT into a product organization? Over the past three years, we’ve been focused on a larger IT transformation to allow us to be more innovative and agile. We’ve also focused key parts of our IT department to operate as a product organization. Transforming to a product organization is not only an IT initiative, it’s a cross-company priority. It required a total change in how we think and what we do. In the beginning, we knew we needed to make some major changes, which we internally called “shocking the system.” In our offices, we removed cubes and created collaborative spaces. We co-located staff so that IT associates now sit within their product teams alongside marketing and other cross-functional team members. And we created a new IT operating and investing model based on product teams that allows us to focus on true business outcomes and not output. How have you defined the product team model? Our main focus has been on leveraging the product innovation of Silicon Valley to create small, empowered product teams of cross-functional and omni-channel associates. These product teams have autonomy over their solution definition and are not given specific capability or delivery directives. Instead, they are given business objectives around, for example, how many leads they generate or how many prospect-to-customer conversions they deliver. It’s up to them to determine the best solution for a customer to meet their goals. A product team can consist of up to ten people and will always include a product manager, lead developer, and people from QA and UX. The team exists as a sustainable unit that is empowered to go after business objectives and key results. We utilize dual track agile methods that put the customer at the center, and we connect our delivery track directly to customer problems and insights in order to design with the end in mind. These cross-functional product teams operate with a high level of transparency. Every two weeks, the product teams have open houses, and anyone can attend. Someone from the team will present what the product team has accomplished against its business objectives. Our senior leadership team regularly attends these open houses, and we’ve had board members attend as well. Think about what a great experience this is for a developer, who has been out of college for three years, presenting the team’s work to our CEO. The product teams are self-sufficient and self-directed; they know what their KPI goals are, and they have accountability to three senior leaders: the CMO, CIO, and EVP of strategy and planning. What advice do you have for CIOs who are driving similar change? 1. Start with the basics. The first element of our transformation was what I called “back to basics,” which included an assessment of talent, quality, customer service and innovation. We made improvements in all of these dimensions within the first six months and our stakeholders saw our progress. Once we made significant progress in laying the foundation, we could start really delivering. 2. Get the business excited about digital. Soon after I became CIO, myself, the CEO and the rest of the senior leadership team went to the west coast. We called the trip “the digital safari,” and we spent several days meeting with technology start-ups about the potential of digital technologies to transform our company. We go on these “digital safaris” several times a year to stay engaged with other innovative companies and continuously learn best practices. A great result of this initiative is that all of these senior leaders have become IT’s biggest champions. 3. Build the right relationships across your business. Our CMO and EVP of strategy and planning have been great partners to IT. The three of us are co-sponsoring the transformation, and we would not be successful if we weren’t partnering on the key business opportunities and solving these together through technology. I interact regularly with the board, and when they see our momentum and results, they continue to support us. 4. Focus on your talent. There is no way to succeed in digital transformation without the right talent strategy. It’s essential to focus on providing the right structure and support mechanisms to help your current associates navigate through the change. The digital organization you are creating needs to move very quickly, and your focus should be making this possible for every associate. Adding new talent can bring great new capabilities to your organization as well, but never, never, never compromise on selecting talent. Cultural alignment is very important. 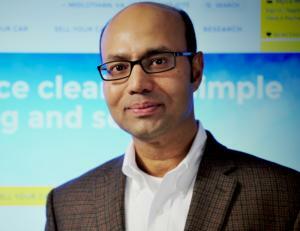 Shamim Mohammad has been senior vice president and CIO with CarMax since September 2014. Prior to that he was vice president of IT with CarMax since he joined the company in 2012. Previously, Mohammad held the same role for several years with BJ’s Wholesale Club. He holds a BS in Computer Science and Accounting from Angelo State University and a MBA from the Kellogg School of Management at Northwestern University.